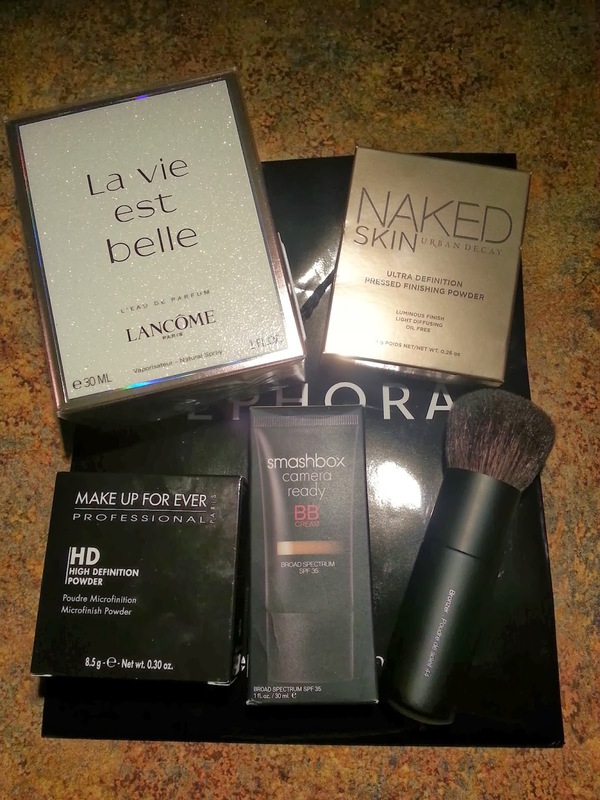 It's no secret that I am a huge fan of high end makeup and beauty products. While I do try to be frugal in most things, I have found that it is actually worth it and cheaper for me to splurge when it comes to makeup and beauty products. I buy less of them and actually use what I buy because it is high quality. 2- Check expiration dates: Look for expiration dates on your makeup and beauty products and make sure you get the latest expiration date possible. If you can't find the date, then grab your products from the back of the display. Stores push older products towards the front to rotate their stock and have less expired products to send back. *TIP: When it comes to tossing out makeup, do not use the expiration date. Only use it for buying. I have found that makeup is normally good past the expiration date. You can generally tell if it is still good by how it looks, smells, feels on your skin, etc. 3- Take good care of your makeup: HSN has a blog post with some good tips on how to do this: Save Makeup Save Money: Tips for making your beauty products last. I am very careful on how I store, use and transport my makeup. I want it to last as long as possible. 4- If it breaks...try to fix it: I almost broke down when my new Urban Decay Wizard of Oz Theodora palette fell on the ground and one of the shadows broke. I had previously read on the internet about how you could mix rubbing alcohol in eyeshadow and smooth it down to fix it. I tried it and it worked! 5 minutes later my palette had a little less of that product (some was lost to the floor), but it was almost as good as new. It also did not effect the wear of the eyeshadow since the alcohol evaporates. You have the internet and tons of beauty gurus at your fingertips..use them. 5- Play around in stores with makeup testers: I recommend this tip with caution. Be very careful what you apply on your lips and eyes because you can catch diseases from testers. You never know who used it before you. However, I do apply products to my hands/ arms like crazy at Sephora. You can check the color against your skin, the products blend-ability, if it makes your skin feel greasy, etc. I have saved myself from many bad purchases by finding out in store that a product doesn't work for me. You can also request samples to take home from the employees and they will comply if they can. 6- Once you learn what works for you...stick with it: I LOVE Urban Decay eyeshadow and eyeliners. For BB Cream; Smashbox is my favorite brand. Make Up For Ever HD powder is amazing. If you find a brand that you truly love, don't bother wasting your money trying every other brand out there. I am guilty of this myself. I have purchased eyeshadow and eyeliners from numerous other companies just to be let down. I always return to Urban Decay. Luckily I have been able to try numerous BB Creams (and CC creams which don't work with my oily skin) through my subscription boxes. None of them live up to Smashbox. If you find a product you love, save yourself money and stick with it. 7- If you find out you don't like a product after buying it...sell it: There are numerous facebook groups, websites and even blogs that sell used, swiped once or even new makeup. Find them and try to get most of your money back. While I personally don't recommend buying used makeup, there are plenty of people out there that will buy it. You could also post on your personal page and see if any friends or family members are interested. I hope these tips help you out. Do you have any tips on saving money when it comes to makeup? I would love to hear them! Please leave a comment below.